CMTC provides manufacturing consulting services designed to help California’s manufacturers succeed now and in the future. Our team specializes in many areas—including lean consulting, food manufacturing consulting, quality management system implementation, Additive Manufacturing consulting, exporting and more. As the statewide MEP Center for California, CMTC works with various strategic partners throughout the state to enhance operational performance, new product development, market expansion and technology adoption for small and medium-sized manufacturers. Our services help to create jobs, accelerate growth, foster innovation and improve the global competitiveness of small and medium-sized manufacturers throughout California. Manufacturing Day celebrates the innovations of modern manufacturing and inspires the next generation of manufacturers through open houses, career fairs, expos, and other events. This year Manufacturing Day is Oct 5, 2018. Click the Learn More button to find out more and see our 2017 Recap. Check out our latest resources and learn about upcoming manufacturing events. Want to stay in the know when it comes to the manufacturing world? A wealth of information is just a mobile device away. There are countless manufacturing blogs to subscribe to and, while it was difficult, we narrowed it down to five. If you’re less of a reader and prefer listening to a podcast while you hit the gym or commute to work, we’ve provided five of our favorite podcasts too. 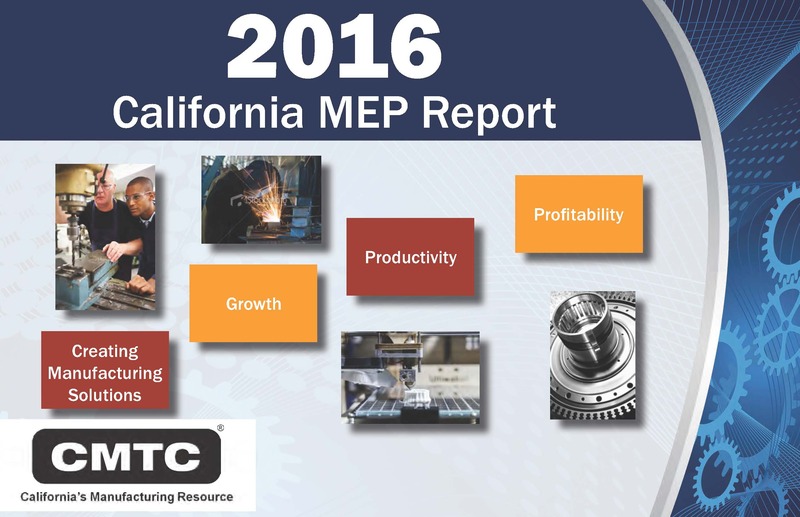 CMTC, California’s Manufacturing Extension Partnership (MEP) Center, provided solutions to improve the growth and profitability of more than 1,000 small and medium-sized manufacturers in 2016. Each week we highlight our Made in CA manufacturers who are part of the program. Manufacturers are selected based on when they joined the program. For small and medium-sized manufacturers (SMMs), social media represents an incredible opportunity for marketing and recruiting. Plus, by building an online social media presence, SMMs can significantly reduce the expense of traditional advertising because it’s inexpensive—or no cost—and it reaches a very broad audience. 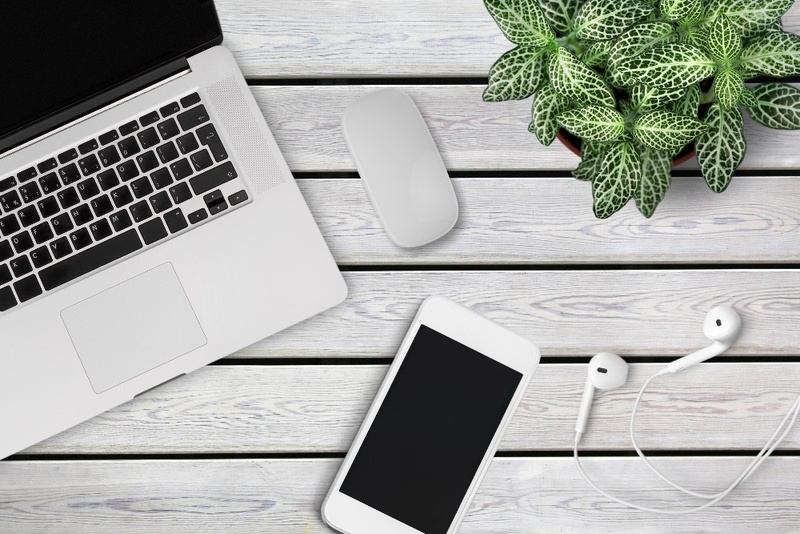 With social media, SMMs can connect with customers in real-time and engage them in a whole new way. 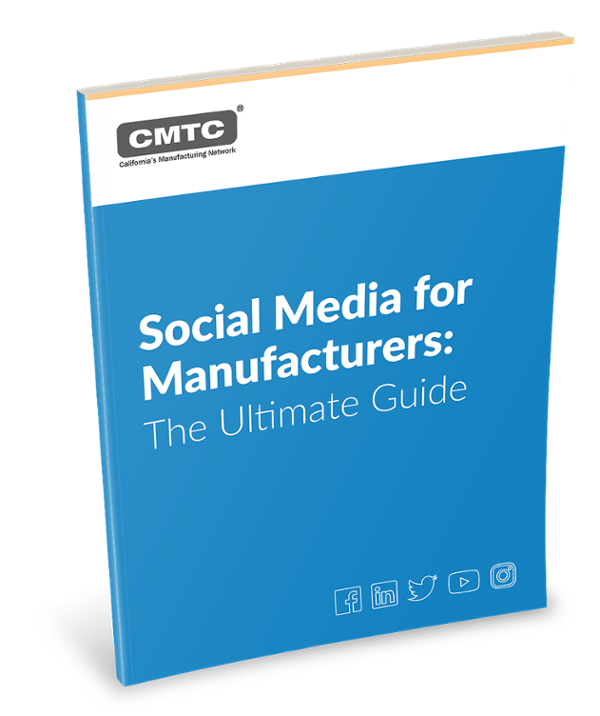 In this free guide, we’ll explore the five best social sites for SMMs, and help you navigate their intricacies. Learn how our team of manufacturing consultants has helped some of California’s small and medium-sized manufacturers overcome obstacles in their road to success. If you’re looking for a specific manufacturing case study, head over to our Case Studies page for a directory of CMTC case studies. In recognition of National Manufacturing Day, more than 170 events will take place today across California. 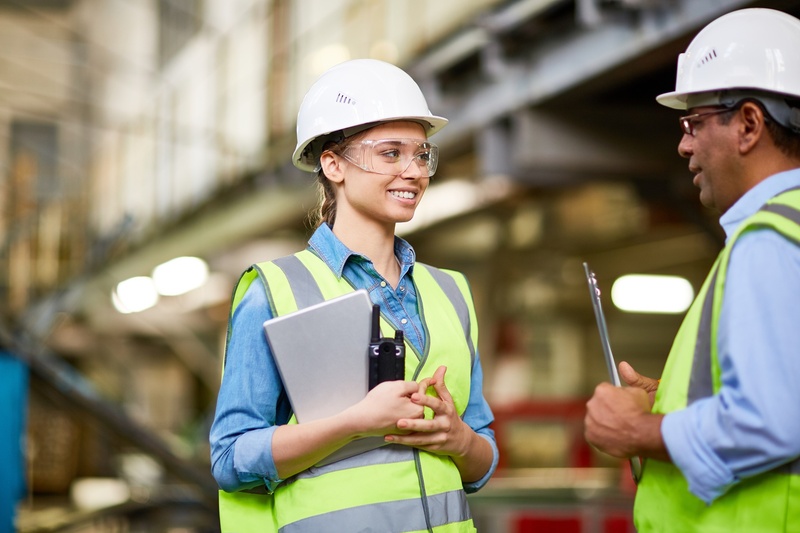 Hosted by manufacturers of all sizes, these events will showcase to the next generation of workers the exciting possibility of careers in manufacturing. Manufacturing is the bedrock of the American middle class. In California, the industry employs 1.3 million people and pays on average $96,000 a year, almost double the state’s average salary. 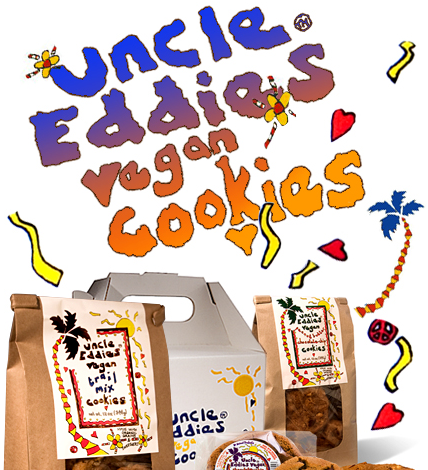 California-made products can be found all across America and in every corner of the globe. In fact, last year the manufacturing industry was responsible for $142 billion of California’s exports, a nearly 15 percent increase over the previous six years. Manufacturing is on pace to create 3.5 million new American jobs over the next decade. But even as the industry grows, there is expected to be a shortage of almost 2 million people to fill those open positions. Advances in technology and production have changed the face of traditional manufacturing. This has led to an increased demand for higher-skilled workers, particularly those with science, math and technical backgrounds. Many of those jobs could come to California, supporting both our workforce and the needs of the manufacturing industry. Thanks to our state’s vibrant technology sector, California is in a unique position to prepare our workforce to attract those 21st-century jobs but we have to make the necessary investments now. In California, the industry employs 1.3 million people and pays on average $96,000 a year, almost double the state’s average salary. California is already home to two of the nation’s 14 Manufacturing Institutes, which foster partnerships between the public, private and education sectors to advance manufacturing and promote long-term sustainable research and development. And thanks to the efforts of Governor Jerry Brown and California Community Colleges Chancellor Eloy Oakley, the Strong Workforce initiative is helping companies work more closely with community colleges to develop a curriculum that provides students with the skills their company needs to grow. One great example of this is the partnership between Las Positas Community College and the Lawrence Livermore National Laboratory. Recognizing an impending shortage of machinists, Lawrence Livermore partnered with Las Positas and the Alameda County Workforce Development Board to create the Vets to Tech program to train veterans in advanced manufacturing and machining. Now in the program’s third year, many of these veterans have either begun careers at Lawrence Livermore manufacturing parts for the lab’s engineering department or are pursuing their bachelor’s degree. We’ve seen similar success to this approach in San Diego, where San Diego City College and Taylor Guitars partnered to address a shortage of Computer Numeric Control (CNC) machine operators in the region. Taylor worked with the college to develop a curriculum to train students in CNC operation and guitar manufacturing. As a result, Taylor Guitars is not only able to hire the workers they need to grow their business, but nearly every student graduating from the San Diego City College program finds a good paying job within the San Diego manufacturing industry. California, however, can’t do it alone. Support for federal programs, like the Hollings Manufacturing Extension Partnership (MEP), will be key to our nation’s success. This program facilitates partnerships between federal, state, and local stakeholders to help manufacturers reach untapped markets, embrace groundbreaking technology and increase the value of their products. In 2016 alone, MEP contributed to more than $9 billion in sales and facilitated $3.5 billion in new investment for manufacturers across the country. It’s important we continue to support manufacturers and manufacturing workers by promoting collaborative partnerships across multiple sectors and supporting robust federal investments in programs like the Hollings Manufacturing Extension Partnership. I would encourage communities across the state to get to know their local manufacturers to understand the role they play in the economy and how support for technical education can lead to high-paying, secure and meaningful careers. Manufacturing Day is an important opportunity to recognize the value of manufacturing and its workers to our nation. I’ll continue to defend, support and grow manufacturing in California because a strong manufacturing industry can continue to be the cornerstone of middle-class economic success. A minority-owned business that specializes in creating finely crafted baby and children’s furniture. CMTC’s Lean Transformation Program helped them improve their production process which resulted in $400,000 in new sales and $250,000 in cost savings. Provides testing and scoring solutions for the education community. By participating in CMTC's ExporTech™ program they were able to strategically enter international markets and increase their sales by more than $233,000. A full-service supplier of custom skylights, standard skylight units, and structural systems. CMTC helped them develop a stronger marketing plan to appeal to new and existing customers which resulted in $250,000 in new sales and $50,000 in retained sales. Waterstone Faucets is a full line manufacturer and distributor of high-quality kitchen faucets and accessories. Their products include various types of faucets, accessories such as side sprays and soap dispensers, hardware such as cabinet pulls and knobs, and under sink systems. The company is located in Murrieta, CA and has 110 employees. "CMTC’s exporting services were critical to helping our company strategically enter international markets and increase sales by more than $233,000. Exporting is now a crucial component of our organization’s strategic growth." With CMTC’s assistance, we were able to improve our workflow and better manage demand. As a result, our company experienced $400,000 in increased sales, 6 new jobs, and $250,000 in cost savings. "Obtaining AS9100 certification was critical to our organization’s client retention and growth efforts. CMTC helped us every step of the way, and we could not have accomplished this without their expertise. 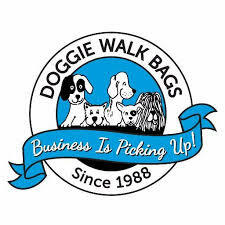 Our projections indicate we will achieve $100,000 in increased sales from new clients"